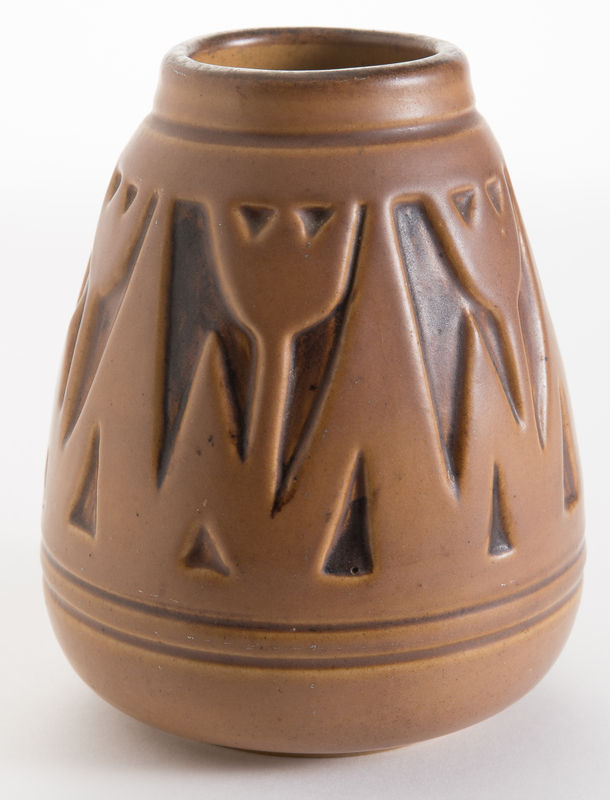 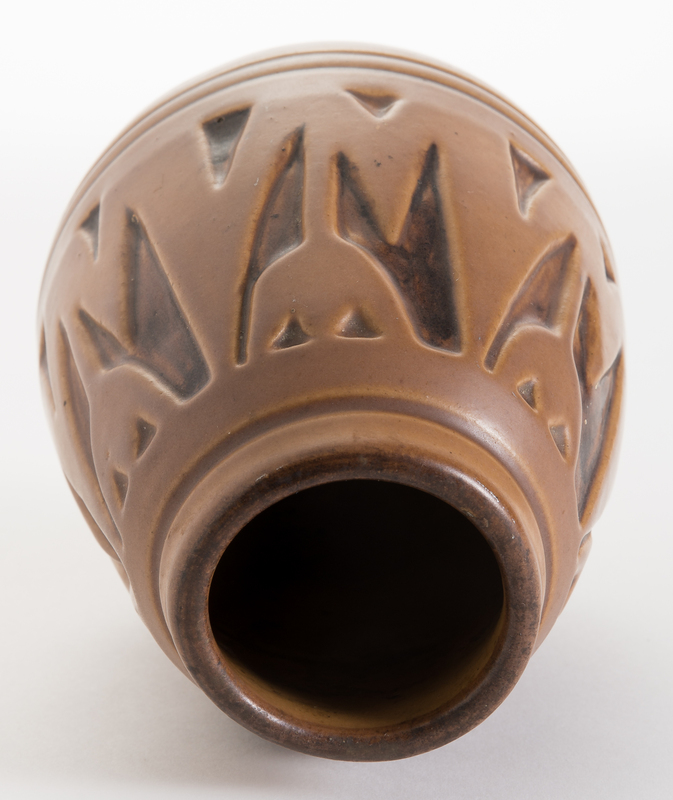 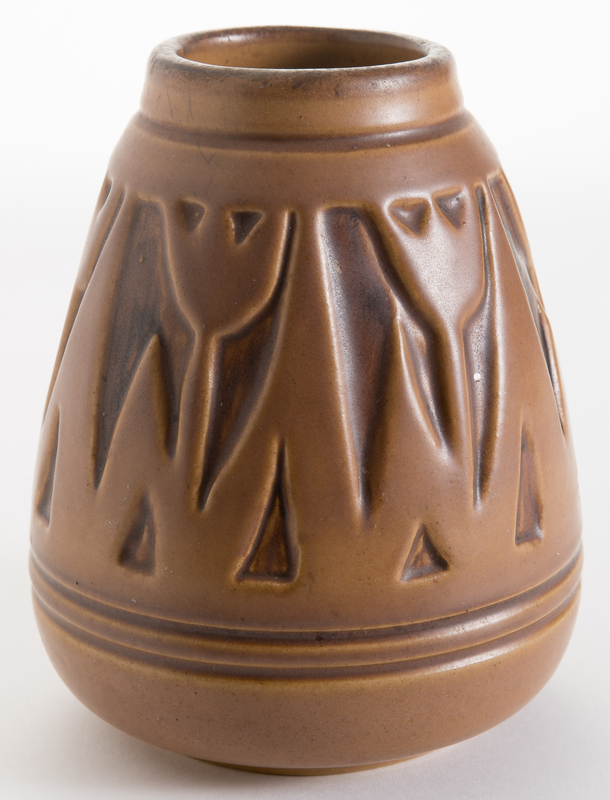 Here is a lovely vase from The University of North Dakota School of Mines pottery program. 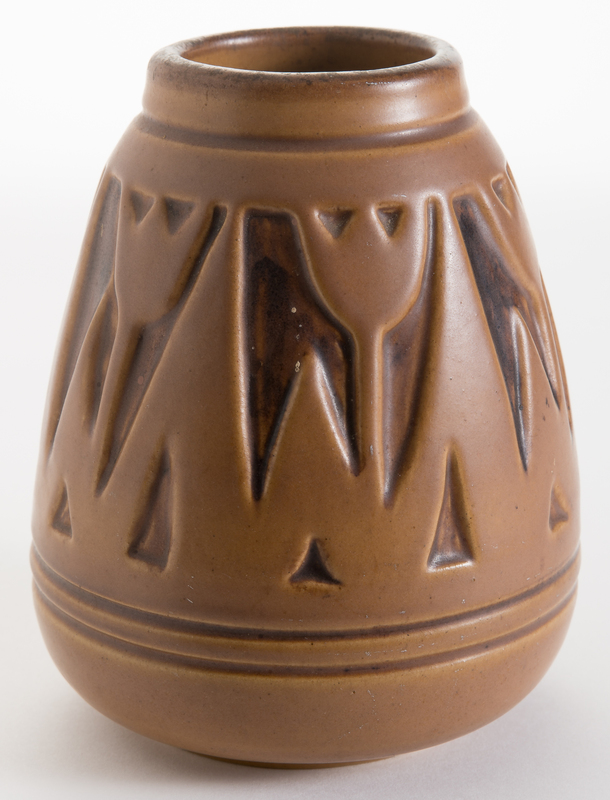 It is brown with a repeating carved tulip design. 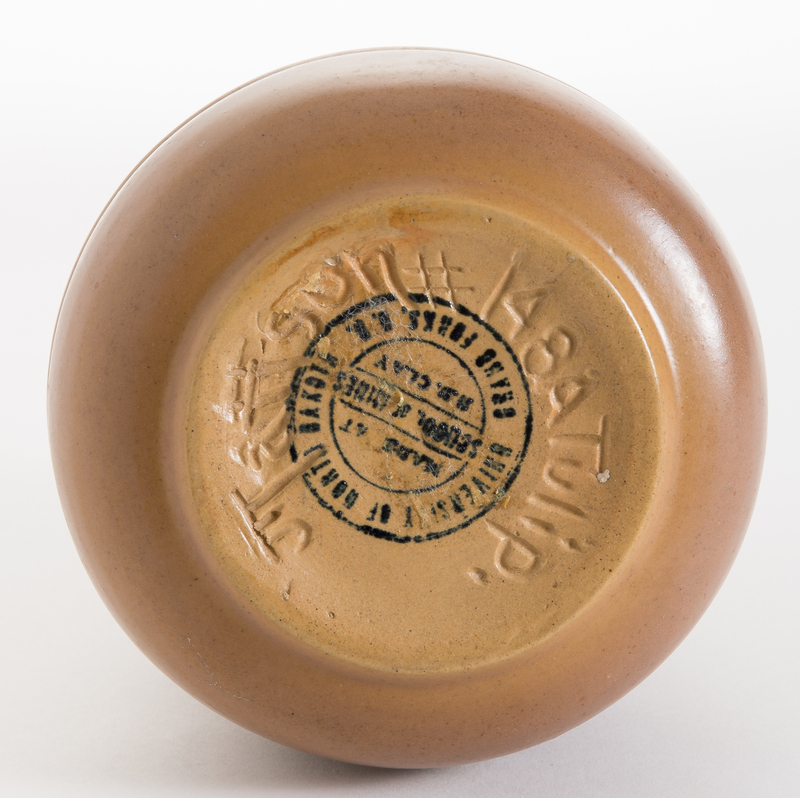 The base is signed by Julia Mattson and is also marked "148A Tulip". 5.5" tall.